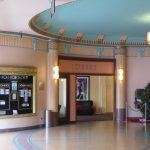 The Rivoli Theatre in Camberwell – called Rivoli Cinemas these days – is palatial even today. It must have been phenomenal when it first opened in 1940. 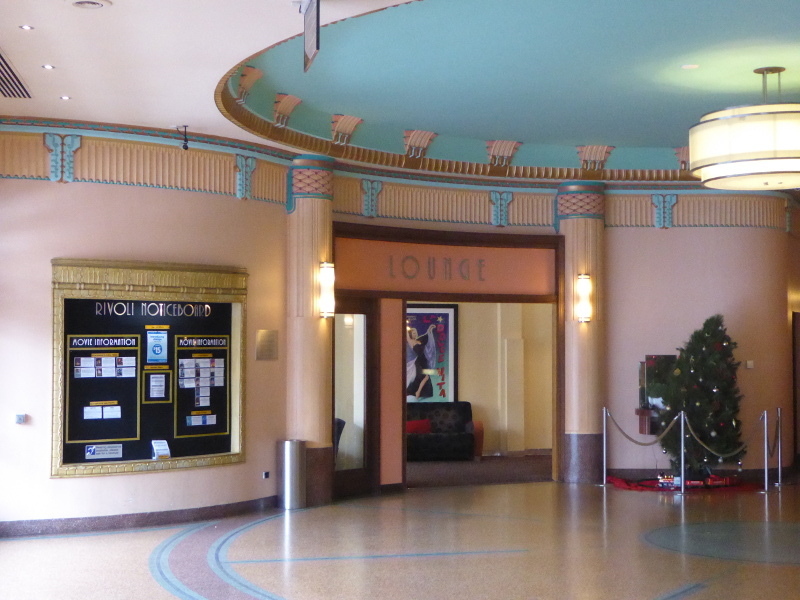 It’s possibly my favourite vintage cinema (so far anyway) on this Vintage Victoria tour, and that has a lot to do with what hits you as you go through the front entrance to the building. To the left as you enter is the old foyer, which is surely much as it was in 1940. 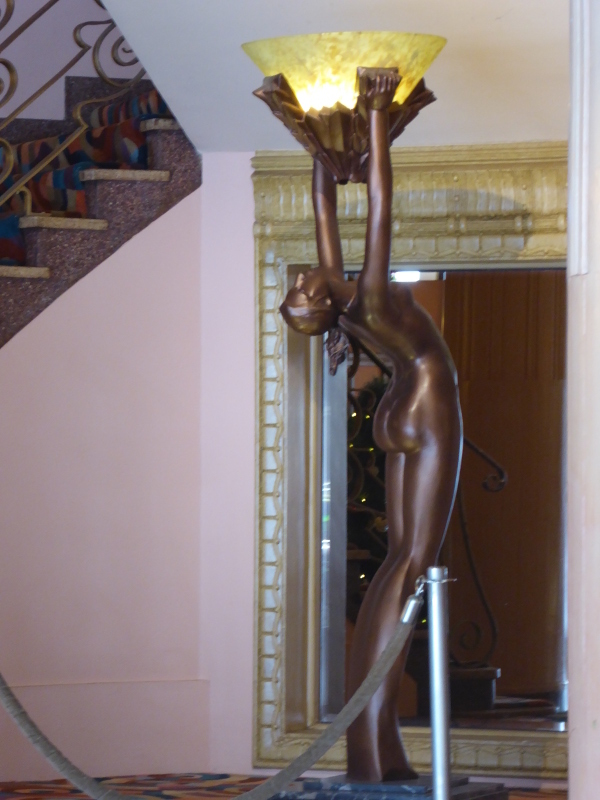 Extraordinary decor: a fantastic staircase, split to curve up to the right and left with a fabulous lamp holder of a naked lady leaning back, arms aloft holding the shade; an old concierge kiosk with R lettering; lovely lounge area (did this have the log fire back in the 1940s? ); and original toilets (nice floor tiles but otherwise nothing worth holding on for here, in the gents, anyway). There’s also a beautiful ceiling and coving in gold and turquoise. The Rivoli stands on one of six roads which lead into Camberwell Junction. My map of Melbourne suggests it is actually officially in Hawthorn East, but my historical searches always had it down as Camberwell’s cinema. 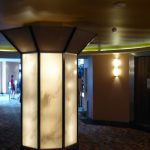 The current owners – Village Cinemas – have done a great job retaining as many original features as possible and even trying to reproduce the original style when doing the most recent renovation in 2000. Most cinema goers now rush to the counter for tickets and the usual paraphernalia and popcorn sold (annoyingly WITH your ticket these days, so slowing down the process when you arrive late for the movie, as we did). 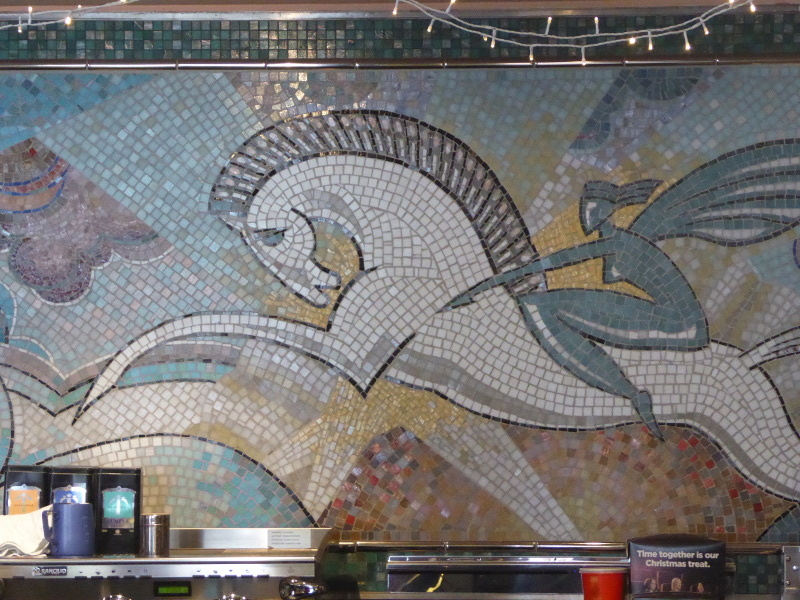 It’s not a bad counter to wait at, though, with beautiful mosaic behind the bar, making me wonder if this was the original milk bar when the Rivoli opened in 1940. 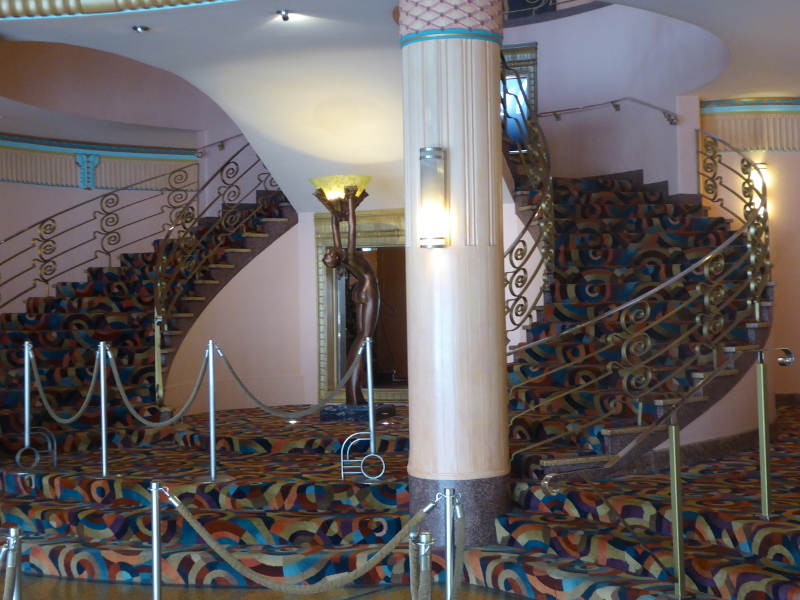 You go upstairs these days to the different screens, first of all to a mezzanine level (terrazzo) which must once have been the roof garden I heard talk of in the press clippings I found from 1940. There was a party going on there so we couldn’t hang out and enjoy the views over Camberwell, sadly. But right across the road is a nice vintage feature: the oldest and longest running sole trader business in the area: Schwartz & Angelo. Mr Schwartz has a sign up saying he’s been there for 57 years and there’s some beautiful carved wood in the window. Shame we were there on a Sunday, because he’s closed that day. The cinema has a Gold Class scheme, where you combine a film with a bite to eat in their rather attractive bar/restaurant. This was fully booked on the day we turned up, so we couldn’t even sit for a post film cup of tea, but we bought a decent brew from the ticket desk, and the lounge area, with lovely vintage furniture, made for a pretty good second best place to sit and reflect on how beautiful this cinema is. The Rivoli has a good programme of films. A mix of mainstream and some Arthouse, made possible precisely because they made it an 8-screen venue. Given the Vintage reason for our visit, we opted for a truly arty film in I, Claude Monet, in the Exhibition on Screen series, based on 2,500 letters from the Impressionist painter with contemporary images of the places he painted, followed by pictures on screen of the relevant places, and readings from correspondence that corresponded to that period in his life. A really nice experience to see such a film – Monet’s life ended 14 years before the Rivoli was built but most of the key dates of his life have a resonance for Vintage Victoria. Book a Gold Class ticket for a bite to eat as well as the film. 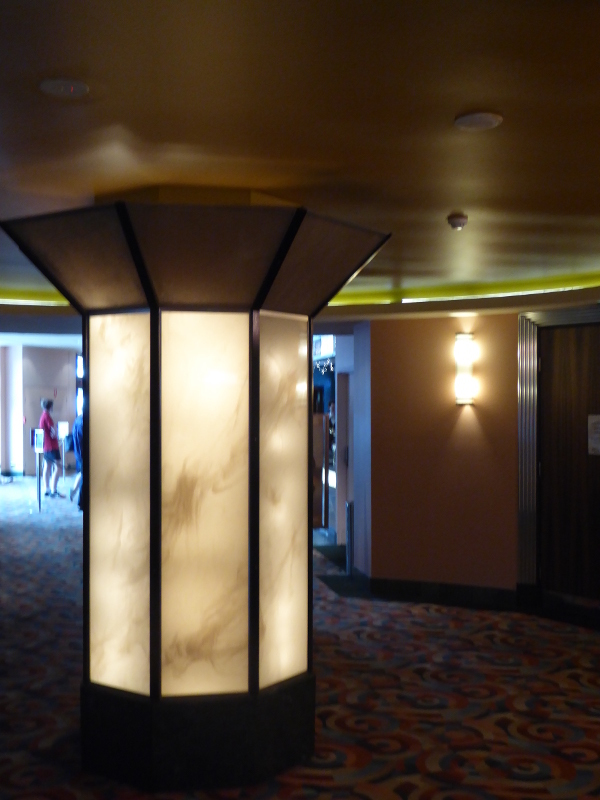 Theatre 1 is the biggest and has the most original features. 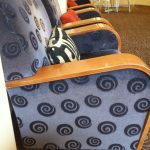 We didn’t get a glimpse, but one of the links below has posted a pic of the interior. 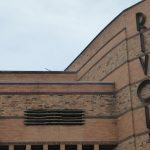 The Rivoli in Camberwell as we see it today replaced an older theatre which had been built in 1920. 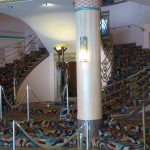 Its manager Robert McLeish had pioneered the concept of big movie theatres in Melbourne’s suburbs, defying assumptions that people wanted to go into the City for a night out. 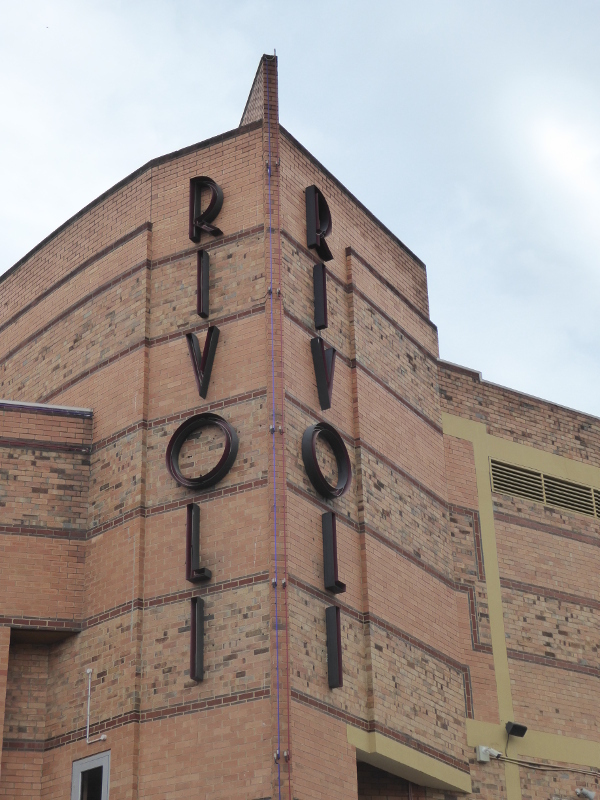 The new Rivoli had 1644 seats, an electric organ built into the proscenium walls, air conditioning, a roof garden and a ‘special crying room for children’ – what a great idea that was, especially as it enabled mothers to carry on viewing the film from the room. A feature on the new cinema in The Argus of 12 October 1940 (thanks to Trove as usual) explained that the roof garden was built as an ‘ideal place to relax during the interval.’ And you’d access the roof garden straight from the Dress Circle. Brilliant – and what’s even nicer is that this roof garden is still on the Rivoli in 2018. The air con was designed to cool the auditorium evenly, but for winters, there were individual foot warmers for each seat (! ), a log fire in the ‘lounge’. 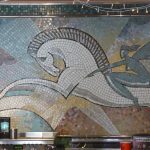 A milk bar was also installed – what a shame that isn’t there anymore, though my hunch is that the bar where you buy tickets today, which has a beautiful vintage mosaic on the wall, might just be the old milk bar – can anyone confirm? Opening night – a special charity gala for the Red Cross – on 11 October 1940 was a comedy thriller starring Bob Hope: “The Ghost Breakers”. Many Rivoli reviews speak of “French without Tears”, as being on the opening night and this was indeed the first scheduled programme on for a week – a film directed, oddly enough, by the son of a British PM Asquith, but it began on the second night of screenings. The Rivoli in Camberwell opened its doors in this building in 1940, just as World War 2 was starting to get nasty. The war apparently was having a negative impact on the supply of films from America (presumably partly the risk of U-boats sinking supply ships), so the owner of the Rivoli decided to make the theatre a venue for stage performances as much as for films. Radio recordings and records were made on the stage at the Rivoli. You could even see ballet live on stage in those days. Robert Menzies may not have been PM yet, but he was making rallying cries from the stage at the Rivoli in 1943 to raise funds for the war effort, with words like these: “My tax is three times what it was before the war, but I regard myself as the luckiest man on earth in paying it to an Australian and British Government, and not to a German or Japanese Government”. Rousing words indeed, and hard to imagine a Liberal saying that in 2018 – I wonder what sum he raised. After the war, for three years in a row, workers from the film and theatre industries came to the Rivoli to pack food parcels for their counterparts in Britain, where rationing was still in full swing. 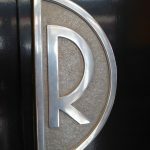 There were lots of Christian Science lectures at the Rivoli in the 1940s and 50s – did the owner have a connection? 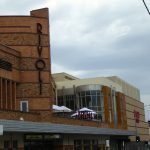 In 1968 the Rivoli was split into a twin screen cinema, and then in 2000, it became a multi-plex, but even that massive change was done without destroying many of the original features. 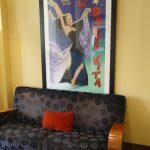 In fact, the information plaque by the ‘Lounge’ suggests that in 2000, efforts were made to restore some of the original features and colour schemes in the theatre. 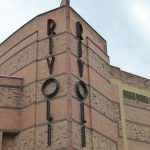 The Cinema Treasures website has a brief entry on the Rivoli dating back to 2009. 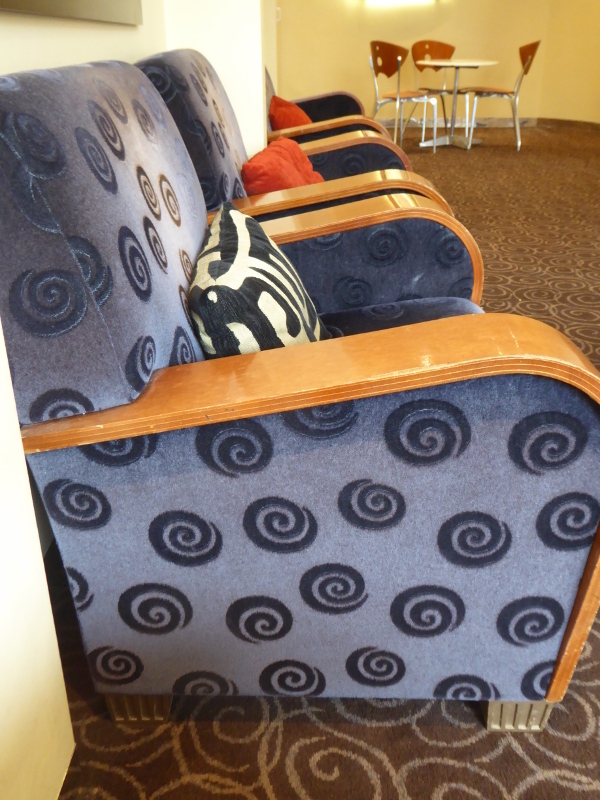 I love the ghost stories about the Rivoli in this ABC article – who was the Man in Row P or the old lady in the foyer? 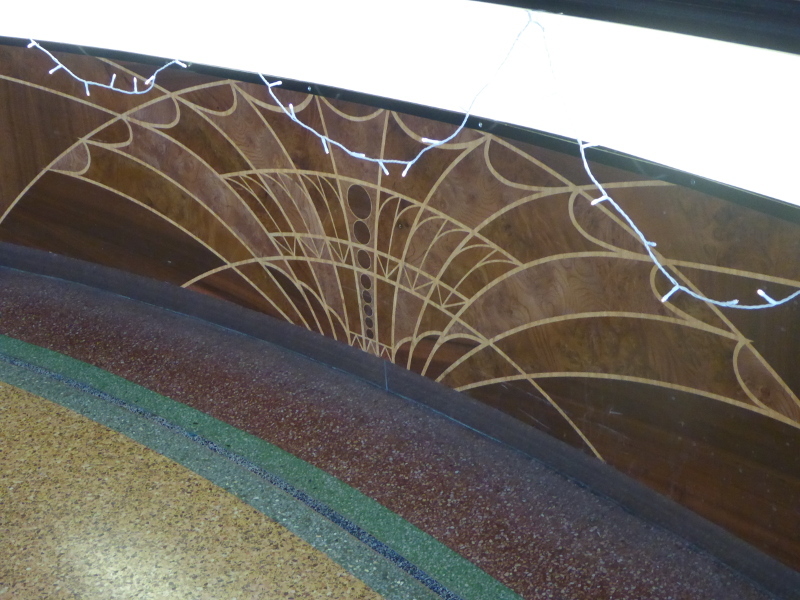 The Victorian Heritage Council entry on the Rivoli has the usual architectural and factual details. The Oh What Larks blogpost dates from 2008, but they managed a photo of the main auditorium at the Rivoli. 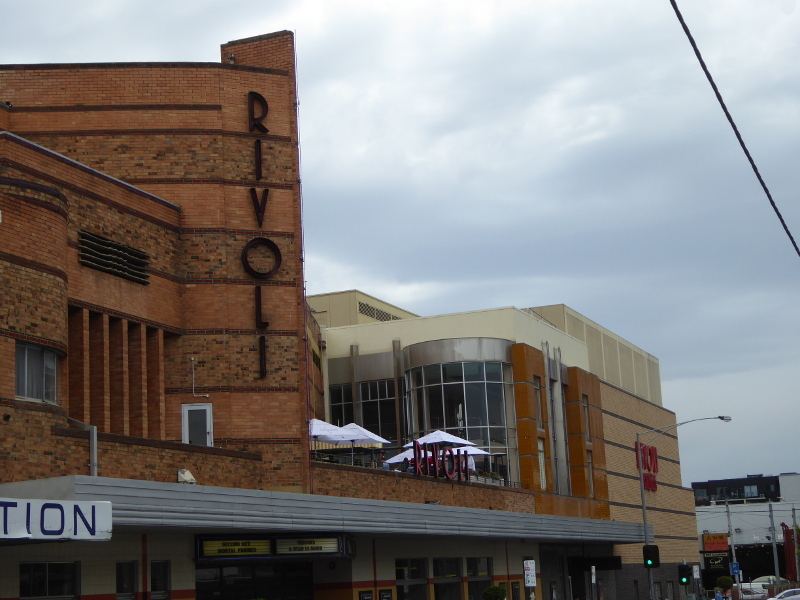 The Herald Sun newspaper did a nice piece in 2015 to mark the Rivoli’s 75th anniversary. 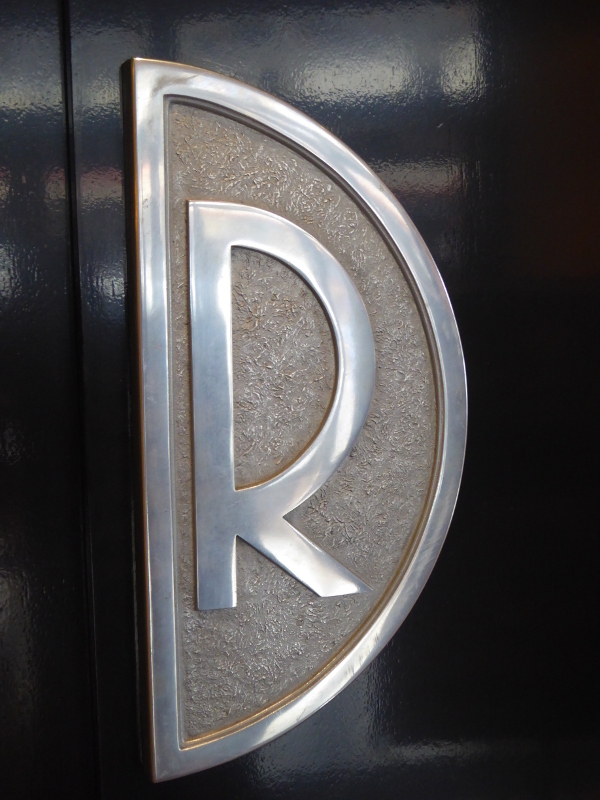 The RDO blogger sounds as if they have a similar approach to me, with a love of art deco and coffee. 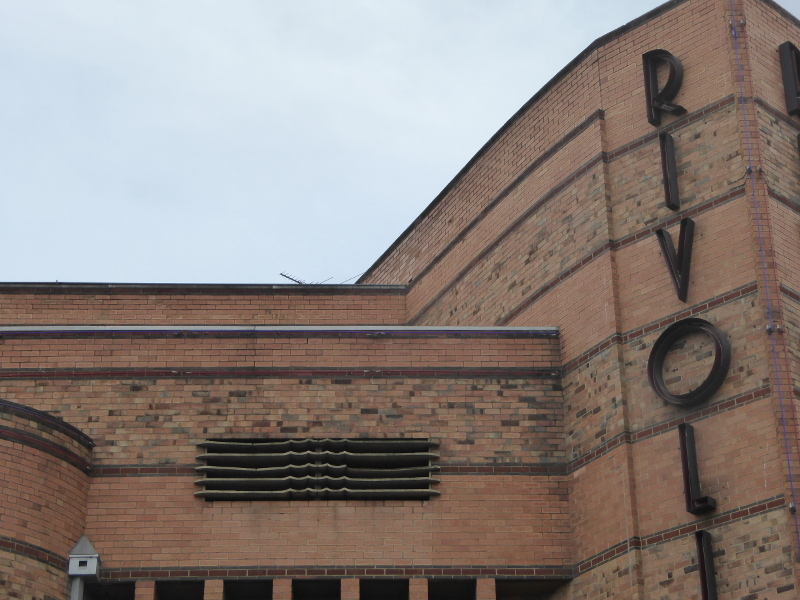 What are your memories of the Rivoli? 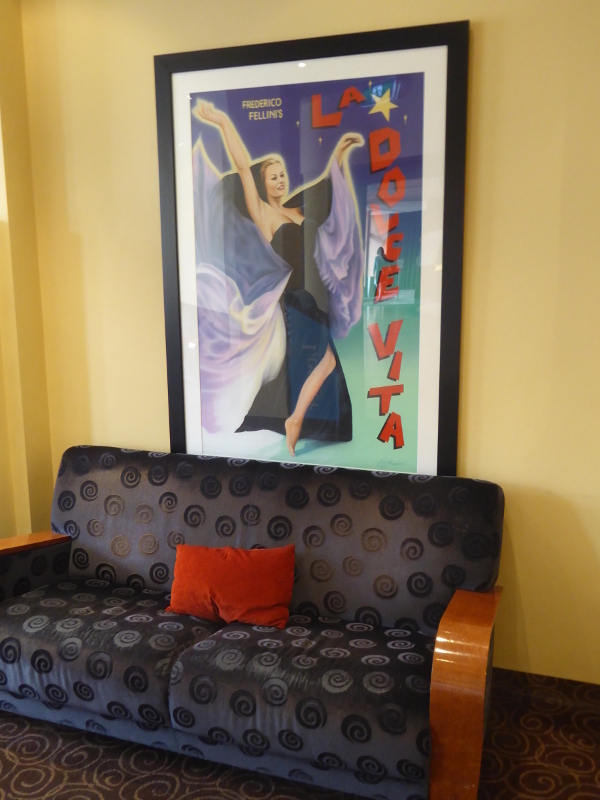 Do you have memories of a first date at the Rivoli many moons ago? Or were you a regular in the days when it was just one big screen before 1968? If so, which part of the cinema did you sit in? 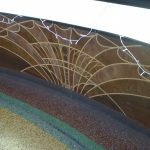 Anyone any ideas on those Christian Science connections in the 40s and 50s? What’s the best film you ever saw at the Rivoli? Best coffee in Camberwell may well be at the MOB, which stands for My Other Brother. They get their coffee from Inglewood Roastery and it makes for a lovely smooth coffee. For tea we had wanted to go to Pinki Pinki Tea, just a short walk from the Rivoli, but they were closed on the Sunday we were there. So we went for a take away tea from the kiosk and had it in the lovely lounge – not a bad outcome in such a wonderful space. My name is Ted Bradley, I was an usher at the Rivoli Theatre from 1966 to 1967, I did 3 showings a week, Tuesday Nights, Saturday Matinees and Saturday Nights, I was paid $3.00 a session. The manager at that time the was Mr. Mac (never new his surname) One Saturday night after the show was over with the theatre empty we hauled to new 70mm projectors up the projectionists stair well to the projection room, they extremely heavy, I have great memories from there.